why does Blot look like RID Quillfire to me? william-james88 wrote: Now, while this may seem early, which is it, it should be noted that the wave 2 deluxes have yet to be found in New Zealand (and is not commonly found in other parts of the world). Wave 3 is scheduled to hit stores in summer so don't expect these to hit the US tomorrow. We thank westjames/notirish for sending this news out way. LOL. My son was just asking yesterday about wave 3. I told him wave 2 hasn't even reached full saturation yet (even though we have seen them a couple times at Target). The full release, I'm hoping still is a few weeks away. On that note however, a couple of my local walmarts have received NEW shipments of wave 1 deluxes. you really can t repack wave 1, I imagine the contents are the same. I just hope these don't shelf warm preventing wave 2 from being fully distributed. Also, I'm not sure this is a good or bad thing, but in times past, high profile YouTube toy reviewers would pay exorbitant prices from Asian distributors, mostly on eBay, to get these toys months ahead of us *regular folk*. Now I see them mostly getting them around the same time as myself (in some rare cases even after me... ) . We still need Deluxe Sludge, Snarl, and Moonracer (My son has seen them once). Also looking for the wave 2 PM's, haven't seen them at any local retailer anywhere. Don't you know... Rapa Nui is where the last remaining original Kay Bee Toy store is...they just got fresh cases of Machine Wars in last week. Further proof that the US is no longer all that important a country. william-james88 wrote: Further proof that the US is not longer all that important a country. No argument here, I never thought it was TBH. However...One would think, since Hasbro's HQ is based in the United States, and the company originated there, although they service *globally* now, that the toys would be made first available in North America. I was thinking of comparing toys distribution to Hollywood Movies. A lot of effort has been made in the last decade or so, to make more and more films day-on-date (meaning most of the world gets a new film on roughly the same day). I know its not perfect yet, but its getting there. I know to do the same for toys would be extremely difficult, but I think Hasbro could do better. Equality is great. Get the thing everyone wants, TO everyone who wants it at the same time, make everybody happy , except the scalpers, but then, we don't want them to be happy. Motto: ""Grass grows, sun shines, and me, I hurt 'Cons!"" My favorite part of blot's deco is that his beast mode has a "rub-sign"
We know there are several Transformers Power of the Primes exclusives coming our way and we now have new images featuring packaging elements for two of them: Deluxe Wreck-Gar and Leader Nemesis Prime. 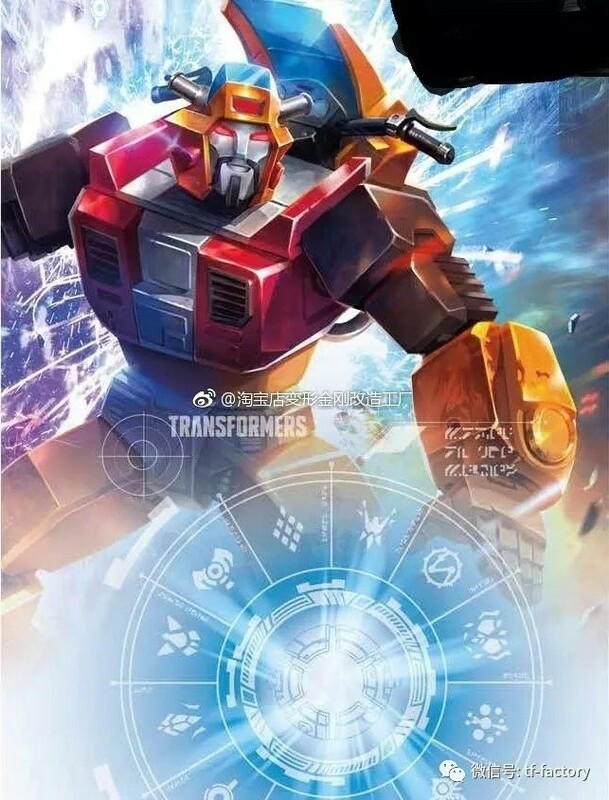 These images come from the TF-Factory Weibo account. For Nemesis Prime, we get a look at his partner, Giza, whi is a bird that transforms into his sword. This is another reference to yet another Nemesis Prime, in this case the one from the Prime line which had a transforming sword partner with the same name (although it was a shark, and not a bird). We also get the (slightly obscured) bio which tells us that this Nemesis Prime is simply an evil clone of Optimus Prime. For Wreck-Gar, we get the character art that will appear on his packaging. You can see actual images of these previously revealed toys here and here. Um, weren't sites going to band together and NOT post leaks like this that are basically done to milk an image, like a Ken Burns documentary? I'd rather have had G2 Groove than Wreck Gar. william-james88 wrote: For Nemesis Prime, we get a look at his partner, Giza, which is a bird that transforms into his sword. This is another reference to yet another Nemesis Prime, in this case the one from the Prime line which had a transforming sword partner with the same name (although it was a shark, and not a bird). Yes he was. There were quite a few exclusive toys from TT in he Prime line. Its probably the most infamous line for TT exclusives. And each of their toys deluxe and up came with partner transformers model kits that were all exclusive to TT. 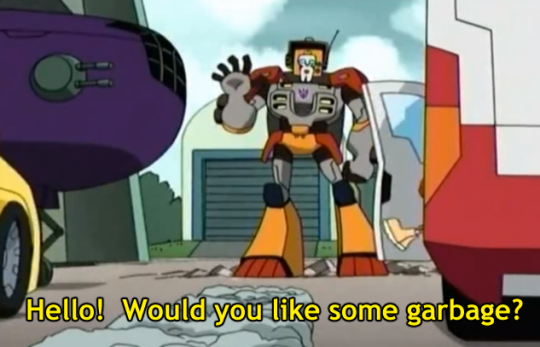 I was LITERALLY just about to tweet about how it's about time to get some information on Wreck-Gar. Bounti76 wrote: I'd rather have had G2 Groove than Wreck Gar. william-james88 wrote: Yes he was. There were quite a few exclusive toys from TT in he Prime line. Its probably the most infamous line for TT exclusives. And each of their toys deluxe and up came with partner transformers model kits that were all exclusive to TT. Good to know, thanks. I love the Prime animated series, but never got any of the toys, well except the Legion Abominus set when it was at Target on clearance. THIS was unknowingly my precursor to see if my son could handle more complex toys, and in some ways I think Hasbro prepping me for the line I love to come. .
You can add me to the list of those lamenting the lack of a G2 Defensor. Also, I don't play the mobile app game, but are no other characters being added? How do we know there will be no Defensor? Well, this should put all the conspiracy theories to rest, finally, about Power of the Primes Nemesis Prime and Wreck-Gar either being hoaxes or Russian exclusives. I've got a feeling we may be getting quite a number of exclusive PotP figures before we roll into "War for Cybertron (part deux)." 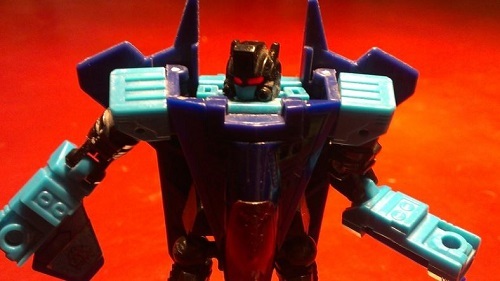 It might make it more clear for fans to label the Takara version of Prime by their toyline's tagline "Arms Micron," to differentiate it from the Hasbro releases of those molds. Thanks for that. I had a feeling it was Jazz, but I wasn't sure if he was supposed to be in Wave 4 and I was misremembering what I had read months ago. Here's hoping the Jazz in Wave 3 has been modified to be "MAGA-less." chuckdawg1999 wrote: Um, weren't sites going to band together and NOT post leaks like this that are basically done to milk an image, like a Ken Burns documentary? This is the first I've heard of about this, was it decided on the back of the titans returns leaks? Look the guy with the purple marker is back. Let me leak the artwork but not the photos. Maybe he can leak the trump piss tape too but blot out his head in purple. I'd love a proper G2 Defensor set too, but we may have to settle for getting it piecemeal as double homages, such as we have so far with PotP Inferno homaging G2 Hot Spot in torso mode and PotP Wreck-Gar homaging G2 Groove in limb mode. The ideal for me, though, would be to release a proper G2 Defensor set alongside a redux of the G2 Bruticus set, using the space shuttle mold instead of the jet for Blast Off and applying the correct G2 Decepticon faction symbols to the figures as well. Seriously, how did Hasbro get that right initially and THEN screw it up on the third G2 set? Unbelievable. I sort of agree. No free health insurance, no wave 3 potp....wtf is wrong with my country? There is no such thing, each site is run independently. Essenially we want to share everything relevant with the community. If Hasbro tells us to ake it down, then we will. But essentially, anthing posted online for all to see is fair game. 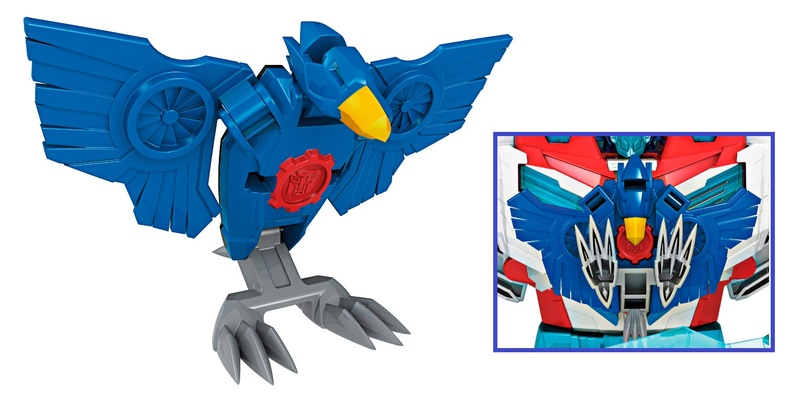 Looks just like the leaked images that supposedly pointed to Blastoff getting a release using Takara's shuttle mold, a leak that has yet to be backed up in any way. You'll pardon me if I don't get excited about this. 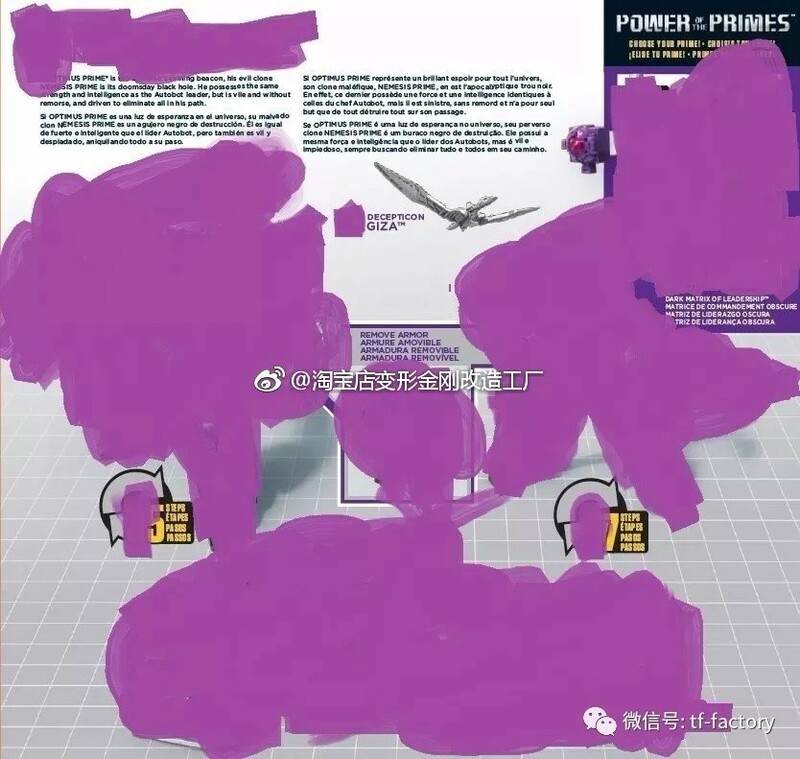 WeatherManNX01 wrote: Looks just like the leaked images that supposedly pointed to Blastoff getting a release using Takara's shuttle mold, a leak that has yet to be backed up in any way. I need a Wreckgar but those who didn't can chuckle at the following image.